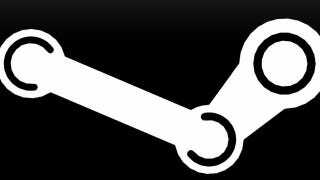 Digital delivery service Steam wants to keep its users' accounts secure, but software security is a fragile thing. That's why Valve has teamed with Intel for Steam Guard, hardware-based security that could make account phishing a thing of the past. Someone has attempted to reset your Steam password. Please verify your information by following this shady link and filling out a form that sends your most sensitive information directly to the people you'd least like having it. Phishing scams are obnoxious and mostly obvious, but every now and then computer user let's down their guard and their password falls into the hands of someone that shouldn't have it. With Steam Guard, getting a user's account info is only step one. Step two would be sneaking into their house and using their computer. Steam Guard is a security technology that locks account modification to a single computer. Users will still be able to access Steam and play games they've already purchased from anywhere, but any major changes to the account must be done through the authorized machine. The service takes advantage of Intel's new Identity Protection Technology, integrated into the second generation of its Core and Core vPro processors. The technology generates a random number every thirty seconds, and Steam Guard will verify that number. If you aren't at that computer, you aren't gaining access. "Account phishing and hijacking are our #1 support issues," said Gabe Newell, President of Valve. "With Intel's IPT and Steam Guard, we've taken a big step towards giving customers the account security they need as they purchase more and more digital goods." What does this mean for folks without Intel Core and Core vPro processors? They'll just have to remain terrified that one day someone is going to steal their games. It's inevitable!